Mini Masters celebrates the joy of art in a miniature ensemble you can appreciate in your home or office. Mini Masters’ diminutive size makes it easy to place, while its quality features will enhance any environment you choose to showcase your favorite piece of art. 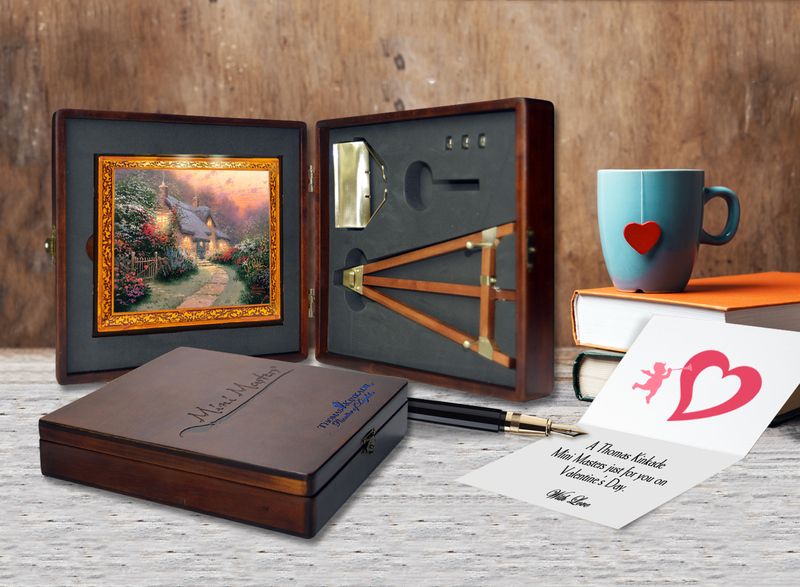 Mini Masters are paintings on canvas measuring only 4.75 inches by 5.5 inches. They are custom framed and come with a miniature easel and working brass or silver lamp for display. All components of Mini Masters are fabricated to exacting standards with museum quality canvas.